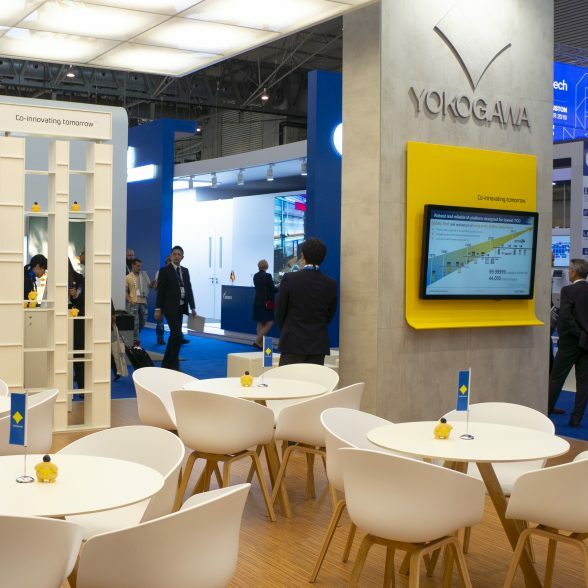 Yokogawa is building a strong foundation that will enable the company to pursue global growth as a solutions and service company that offers high value-added products and other solutions. • Yokogawa is well regarded in the global marketplace as a leading control company and pioneer in the development of distributed control systems for the monitoring and control of processes in a broad range of production facilities. • The company provides reliable measuring instruments for the development and production of electrical, electronic, and automotive equipment, as well as for the environmental measurement and communications markets. • Finally, Yokogawa is also steadily developing its aircraft instrument and marine navigation system businesses and its environmental business. For us the creative challenge was to develop an inspiring brand experience and environmental concept. 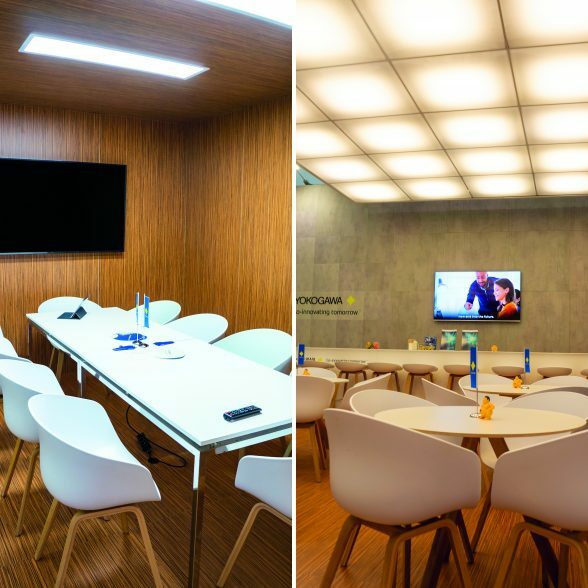 Flexibility regarding size, referring to the Japanese roots of Yokogawa, high standard presentations as well as meeting the standards of outstanding hospitality. 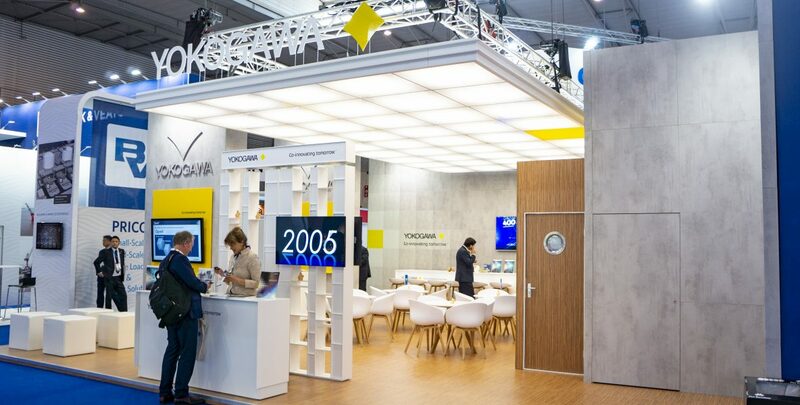 While shortlisted by Yokogawa regarding their RFP for an European brand experience concept, we have done a thorough research on the Yokogawa brand as well as a study regarding the markets in which Yokogawa is operating. The result is an open, transparent brand experience including elements of Japanese architecture and an inviting look & feel. Appealing to notions like outstanding quality, unique client appearance and expertise of Yokogawa.